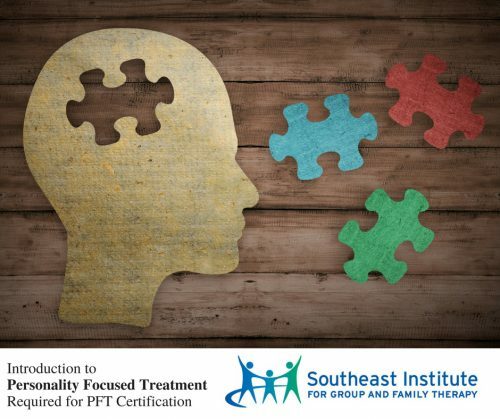 The Southeast Institute is pleased to announce we are offering two new certification programs in Personality Focused Treatment (PFT). These programs are designed for professionals who want to utilize, teach, and train others in the application of Personality Adaptations and the JPAQ (Joines Personality Adaptations Questionnaire). Level II – Certified PFT Trainer (to teach and train others). Level I of this program consists of a two-day introductory workshop on Personality Adaptations and the JPAQ. This is followed by six monthly, three-hour, online supervision sessions in which participants will present cases of clients they are working with using a Personality Focused Treatment (PFT) approach under direct supervision of Vann Joines, Ph.D., Co-Author of Personality Adaptations: A New Guide to Human Understanding in Psychotherapy and Counseling, and Author of the Joines Personality Adaptation Questionnaire (JPAQ). $1080 for 6 months ($1030 if registered one month in advance, $200 deposit, balance payable $166 per month for 5 months). Tuition includes 18 hours of supervision and training, Personality Adaptations Book, and Certificate of Certification. Find an available PFT workshop or supervision course. Level II will consist of 6 additional monthly, 3-hour, online supervision sessions focused on teaching, training, and supervising others in this approach. Monthly supervision sessions will be announced soon. $1080 for 6 months, ($1030 if registered one month in advance; $200 deposit balance payable $166 per month for 5 months). Tuition includes digital copy of presentationfor offering the introductory workshop and Certificate of Certification.